Earn $5.10 in VIP credit (510 points)What's This? 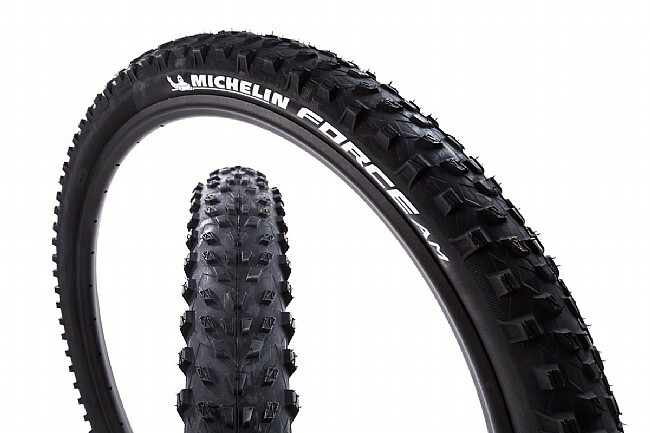 The Michelin Force AM 27.5" tire marks the newest entry in Michelin's mountain bike tire line. This lightweight tubeless-ready tire is made from Michelin's Gum-X3D rubber compound for their moderate tread pattern, delivering an agile, responsive riding experience that excels in loose terrain. The reinforced 3 x 110 TPI casing utilizes the Cross Shield technology for a longer lasting tire that provides improved puncture protection, ensuring more time is spent riding. The aggressive tread pattern makes it perfect for conquering looser, softer trails or fresh dirt, the Michelin Force AM 27.5" tire provides the perfect basis for the do-it-all mountain biker. Whether the day calls for aggressive trail riding or an Enduro race, the Michelin Force AM will keep the wheels spinning and the dirt flying. 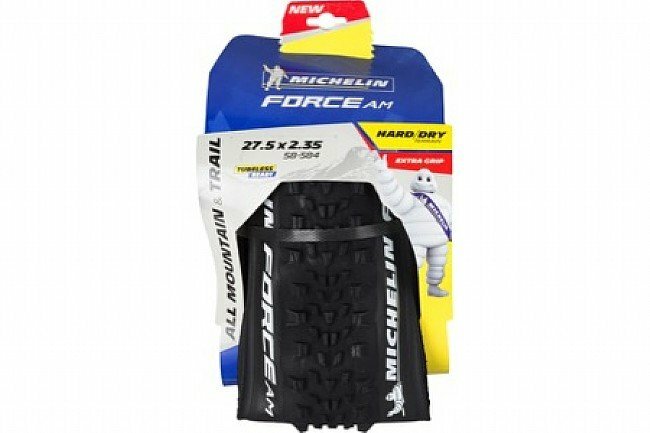 The Michelin Force AM 27.5" Tire is available in three sizes: 27.5 x 2.25, 27.5 x 2.35, and 27.5 x 2.6. Gum-X3D rubber combines 3 compounds to optimize traction, power transfer and shoulder stability. Cross Shield technology incorporates high-density plies into the 3x110 TPI casing for a lighter, more durable tire. Claimed weight: 27.5" x 2.25" – 715g, 27.5" x 2.35" – 720g, 27.5" x 2.6" – 830g. Also available in a Cross Country version.